London, UK. 20.01.2014. 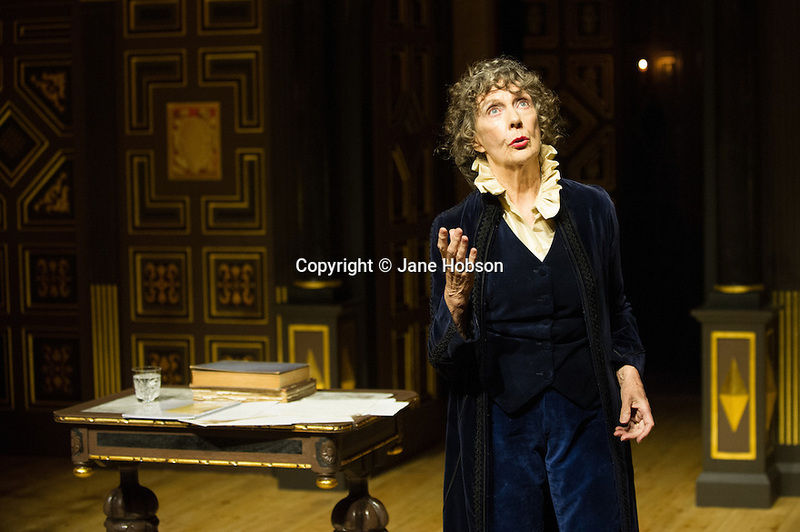 Dame Eileen Atkins offers the first performance of Shakespeare in the new Sam Wanamaker Playhouse, exploring and portraying some of Shakespeare's greatest female characters, as told by Ellen Terry, in ELLEN TERRY WITH EILEEN ATKINS. The production was first performed at the Chichester Festival Theatre in August 2012. Photograph © Jane Hobson.